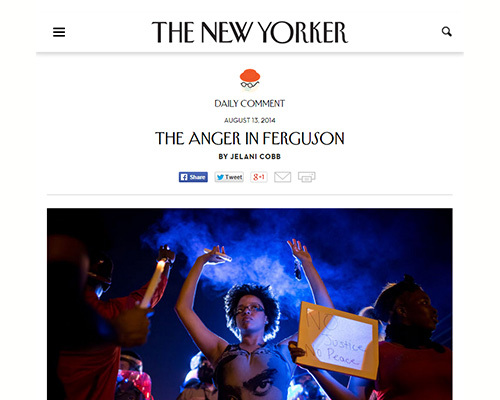 “The hazard of engaging with the history of race in the United States is the difficulty of distinguishing the past from the news of the day.” That was the mordantly ironic opening of one of Jelani Cobb’s first New Yorker dispatches on the events in Ferguson, Missouri. Jelani Cobb’s writing exemplifies the virtues and values that the Opinion & Analysis category was created to celebrate. 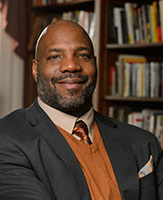 Jelani Cobb is a contributor to The New Yorker and Associate Professor of History at the University of Connecticut. He also serves as Director of the Africana Studies Institute. His books include The Substance of Hope: Barack Obama & the Paradox of Progress, The Devil & Dave Chappelle and Other Essays and To the Break of Dawn: A Freestyle on the Hip Hop Aesthetic. Born and raised in Queens, NY, he was educated at Jamaica High School, Howard University in Washington, D.C. and Rutgers University where he received his doctorate in American History in May 2003.